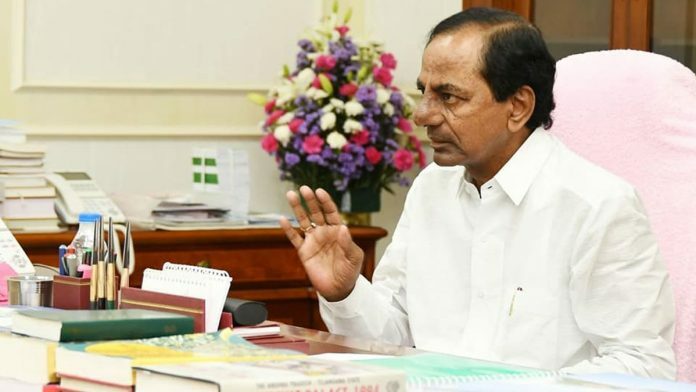 Hyderabad: When he dissolved the Telangana assembly in September, paving the way for early elections, Chief Minister K. Chandrasekhar Rao, or KCR as he popularly known, appeared to be on firm footing. But in the weeks leading up to polling day — today — the electioneering has become fierce. The battle is boiling down to whether KCR will be able to take credit for the creation of Telangana or whether it was a gift from the Congress. The odds appear to be loaded against KCR, with the pressure of the Congress-led grand alliance — Prajakutami (People’s Alliance) — of the Telugu Desam Party (TDP) and smaller parties building on KCR’s Telangana Rashtra Samithi (TRS). KCR has repeated, ad nauseam, that it was he who fought for the creation of Telangana. Political analysts believe that the KCR wants to be remembered as the only leader who worked to fulfil the dreams of the people of the state, fearing that the Congress may usurp some of the credit. KCR, however, is not just facing an onslaught from the Congress. He also has a personal score to settle with the man whom he fought tooth and nail before the creation of Telangana — the Andhra Pradesh Chief Minister N. Chandrababu Naidu. In some ways, the election has also become a battle of prestige between KCR and Naidu. The Andhra Pradesh CM has, in fact, broken new ground in these elections by allying with the Congress, a party to fight which the TDP itself was formed in 1983. The TDP’s aim appears to be to win more than the 15 seats it managed in Telangana in the 2014 elections. It appears to be a question of just making the point that Naidu cannot be written off just because he had opposed the formation of Telangana. “Chandrababu Naidu is a minor stakeholder in this election. It is KCR’s skilful tactic of projecting him as an opponent that has made him a face of this electoral war,” said another senior political analyst T. Ravi. For the Congress, this election is about reclaiming its lost glory. The response it received soon after it agreed to the formation of the Prajakutami has given it a big shot in the arm. Congressmen now believe that they can reverse the trend in their favour. “This fight is for our identity and we want to create an atmosphere of respectful and civil politics,” said the Telangana state Congress Spokesperson M. Krishank. He added that the Prajakutami will perform decently well and ensure that after Karnataka, the Congress will take over in Telangana. Historically, the Congress has a had a crucial number of MPs from this region of Telangana and Andhra Pradesh. This is one big reason that the Congress has been extremely aggressive in Telangana. The BJP, on the other hand, appears to have suddenly realised that if it works aggressively, it may be able to gain more seats than expected. It is now hoping that the Modi wave will tilt some votes its way. A senior BJP functionary did not deny the fact that there could be a chance of an alliance with the TRS if the ruling party fell short of numbers. The surprise factor, however, could be the Communist Party (Marxist) as it has forayed into the Telangana elections, along with Ambedkarite parties and AAP, under the banner of the Bahujan Left Front. The front may prove detrimental to the Congress’ chances as it could split Backward Class votes that normally align with the Congress.